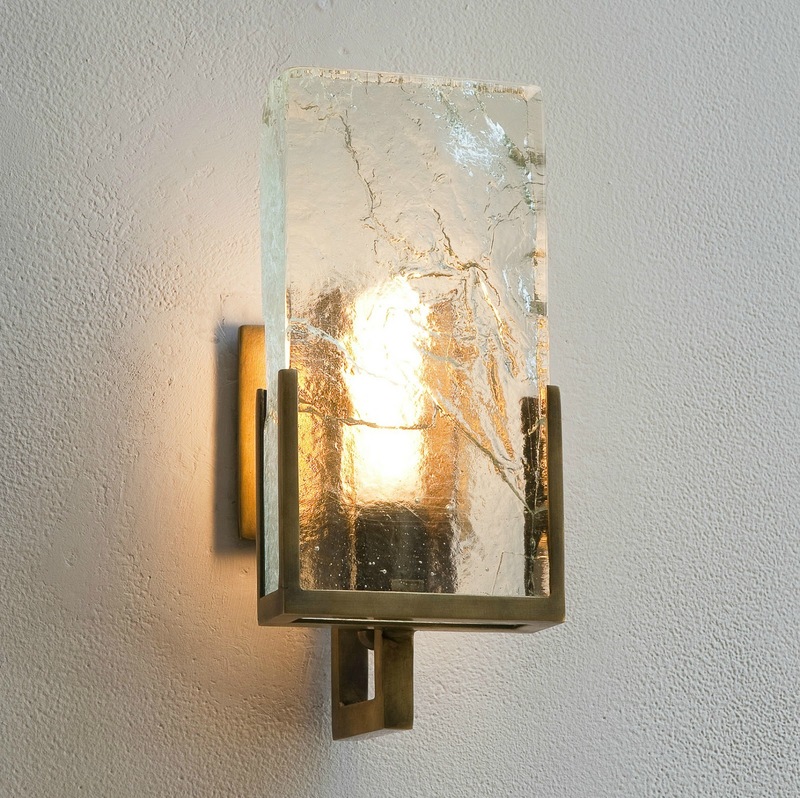 Sculptor Lianne Gold has always been passionate about glass. Inspired by the intricate details of 20th Century Italian glass masters, Gold's creative pulse charged her to create her own gorgeous glass collection... Her designs demonstrate strong, elegant and pure geometric forms with wonderful attention to material and detail, a homage to the Italian masters that have been her inspiration. Gold joined Ralph Pucci International and you can see her creations at their New York showroom. 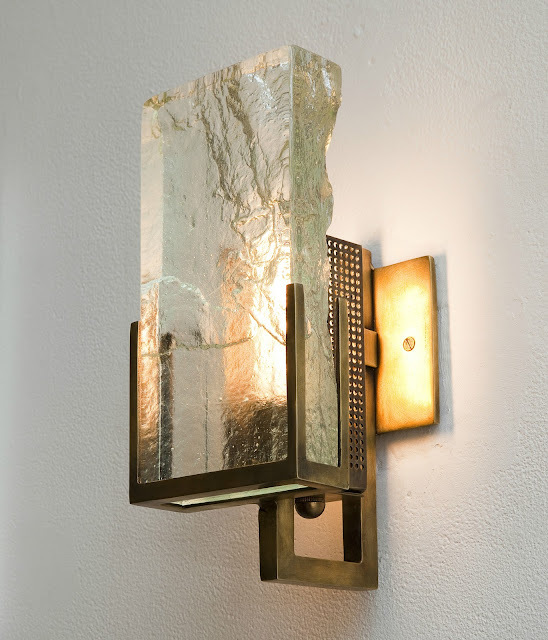 I love her sculptural sconce beauties called Ice...handcrafted luxury that combines oil rubbed bronze, and translucent sculpted glass that actually looks like frozen ice....brava! and the geometric metal corner details that hold the glass in place are really impeccable.